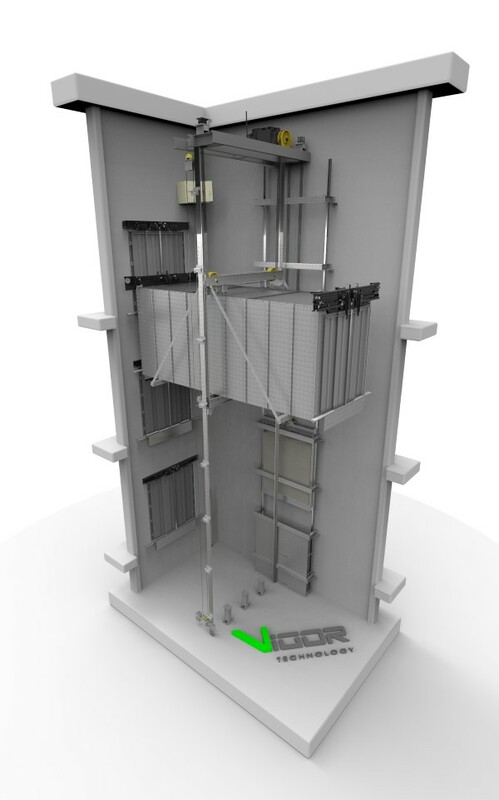 This is the solution when elevator equipment with a machine room is not suitable either for hydraulic or electrical type. The compact dimensions of the shaft, together with the use of gearless motor give a unique result both for the quality of movement and for saving energy. This type of equipment is ideal for multistory parking buildings and shopping centers where there is no possibility to have machinery machinery space.